2014 marks the 20th anniversary of the Stone Premonitions label. Founded in 1994 by Tim Jones and Terri~B, the label has operated on a collective basis as a vehicle for Tim and Terri’s various projects and solo works, as well as other bands. My own association with Stone Premonitions began in 1999 when I spotted a newsgroup post by Hardy from Mr Quimby’s Beard, the great Space Rock band that long time Aural Innovations readers will know. After an email exchange, Hardy asked Tim and Terri to send me the new Mr Quimby’s Beard album, soon to be released by Stone Premonitions. In addition to the now classic Definitive Unsolved Mysteries of Mr Quimby’s Beard, I also received CDs by Tim and Terri’s bands The Rabbit’s Hat and Body Full Of Stars. Captivated by what I heard, this was only the beginning of a string of releases that opened up an incredible world of music that revealed Tim and Terri to be extraordinary talents. And I must say that it’s talent and creativity like theirs that have inspired and motivated me to continue Aural Innovations for as many years as I have. At some point I expressed frustration at the alternating dire and non-existent state of a Stone Premonitions web presence, the result being that for many years now I have been the host and webmaster of the official Stone Premontions web site, a role that’s been an honor and pleasure to fill. Spend some time at this richly detailed site and marvel at the sheer breadth and variety of history and works produced by not just Tim and Terri and the label, but also Tim’s musical history that precedes Stone Premonitions by another full 20 years. So, Stone Premontions 20th anniversary. What better way to celebrate than with the completion of a trilogy of Census of Hallucinations (CoH) albums, recorded during their most productive and creative period in years. What follows is an overview of the three albums in the trilogy, followed by an interview with Tim Jones. Spirit of Yellow is a collection of 13 songs selected from the Stone Premonitions catalog by Tim Jones with an eye toward new interpretations by the current edition of CoH. I didn’t review the album when it first came out because at the time I found myself getting overly immersed in comparisons with previous versions. However, both The Rabbit’s Hat and CoH have commonly revisited and reinterpreted songs, so there was nothing new about this except the current edition of the band, which was largely the reason for revisiting the songs for an entire album. With those thoughts, and hindsight, my mind is considerably freed up and I can now focus on the music from a new edition CoH standpoint. Songs like Forest and More Than Ashes communicate a rocking majesty, with trademark Stone Premonitions vocals, acoustic and electric guitars, melodic rocking guitar leads and deep space floating keys. Riding The War, Lie Again and Sara Jane are all classic Tim & Terri vocal numbers. Church is a standout track and a stellar example of the new dimension that John Simms’ guitar brings to the music. John is a veteran of the Progressive/Hard Rock world through his band Clear Blue Sky, who date back to albums on the Vertigo label in the early 70s. Plus we’re treated to more spacey keyboard embellishments and freaky looped effects, which wrap themselves lovingly around the souful splendor of the song. Hieronymus is another highlight and an outstanding example of CoH’s flair for dreamy singer-songwriter Psychedelia, now further enhanced by Dave Hendry’s cosmic soundscapes and bubbling synths and John’s subtly spaced out and efx’d licks. 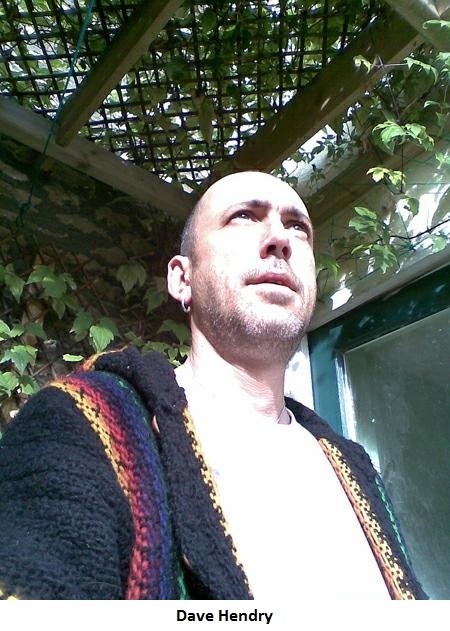 Dave is an artist who should be well familiar to Aural Innovations readers through many albums by his Ohead project. Infra Red acknowledges John’s contribution by including a spacey melodic coda to the song that he composed. Mountain Climbing is a song that Tim and Terri have revisited several times over the years and on Spirit of Yellow it’s a corker, with stunning vocals and great guitar. I love the soulfully raw Blues of Blood On My Shoes, and the spirited, uplifting Soul of Free Yourself. We also have two songs that I consider to be standouts among the entire Stone Premonitions catalog. With Terri~B on vocals, Ephemeral Fire is one of the most sultry and soulful torch songs ever recorded. As if she were some kind of Psychedelic Sade, I’m reduced to a swooning mass of jelly when I hear this song. In fact, Terri’s entire 1998 released Wrap Me In Your Skin album, where this song first appeared, could bring the world to its knees if it had sufficient exposure. Closing the set is Orion, for which there can be no definitive version, simply because it’s such a timeless classic among the Stone Premonitions catalog. It’s pure magic in every form. In fact, Tim and Terri’s peers acknowledged the power of this and another song – The Moon – with the 2004 released Moon Orion Project, in which various bands contributed their own interpretations of the songs. I reviewed Coming Of The Unicorn when it was released last year and I’ll draw on those impressions here. Joining CoH and Stone Premonitions label founders Tim Jones and Terri~B on this outing are John Simms on guitar, guitar synthesizer and bass, Maxine Marten on vocals, Stone Premonitions veterans Paddi and Dave Pipkin on drums and Steve Ellis on keyboards, plus guests Michael Steadman (programming), Kingsley burns (bass), and Mike Forse (backing vocals) on a few tracks. The album opens with Something That Affects All People, an intense introductory soundscape instrumental with deep, cavernous ambience, space-prog keys, Space Ritual effects, and guitar that is both rocking and spaced out. This segues into Only Time Will Tell, which draws inspiration from Mountain Climbing, a song originally recorded with Tim and Terri’s band, The Rabbit’s Hat, as well as appearing on earlier CoH albums. Here it’s taken in an entirely different direction, being a rhythmic, gently rocking yet cosmically floating song, with guitar that is both rocking and psychedelically mind-bending, plus space electronics and classic, swooning Stone Premonitions vocals. As Within So Without dives back into space, consisting of ultra trippy soundscapes and effects combined with slow, brain massage guitar solos, all supported by an energetic rhythmic pulse. Put The Head On is a majestic heavy rocking space-prog instrumental with killer guitar. This is followed by the playfully mind-bending The Unicorn Is Coming, melting smoothly into Stars, which takes the CoH space classic My God, It’s Full Of Stars and sends it hurtling into a new rocking dimension, without losing the hypnotic exploratory elements. Miracle is a spirited, uplifting, space jazzy soulful vocal number. Electroid is a short, high powered instrumental that leads into the hip shakin’, cool groovin’, space Blues rockin’ Crystal Spheres Of Light. UFO Over Penrith is a spacey trippy interlude that sets the stage for Love You True, with its dreamily passionate and soulful vocals. The album concludes in deep space, with the brief Existential Vertigo and, finally, As Within So Without (Slight Return), is a cosmic freakout that closes the set. In summary, Coming Of The Unicorn showcases CoH at their spaced out best. The album is largely instrumental, but the vocal numbers are well placed, making for a 13 track set that flows seamlessly from beginning to end. I’ll also add that while Tim Jones is a gifted guitarist, adding the incredibly talented John Simms on guitar enriches the music by bringing together two distinct yet complimentary musical personalities. The new CoH album, and the third in the trilogy, is The Nine (not to be confused with the 2004 released Nine Lives). For this set CoH consist of Tim Jones on lead vocals, Kevin Hodge on acoustic guitar, John Simms on guitar, guitar synth and keyboards, Mark Dunn on bass, Paddi on drums and percussion, and Maxine Marten on backing vocals. The album is a collection of songs, but the flow from one track to the next is like a Psychedelic stage production, and emphasis on the combination of songs and Prog infused Psychedelia goes to the very heart of what CoH are about. The set opens with Signature, a soulfully flowing song, with dreamy atmospherics and piano, and spacey Blues guitar leads. The Emperor has a similar soulful Bluesy feel, with a tension laden beat, but also spacey soundscapes. There’s a marked contrast between the dark and dreamy aspects of the music, and even more so when one zeros in on the lyrics – “The man of the hour is a useful tool, To fool the masses, just like opium, And we all drown in its wake, For the sake of comfort and the way things are, The way things should be.” Tim’s lyrics have long made unrestricted capitalism and corrupt/abusive government the target of his vitriol, and The Nine is replete with these themes. Delivering The Goods is a Prog-Psychedelic acoustic song with Tim in full blown theatrical vocal mode. 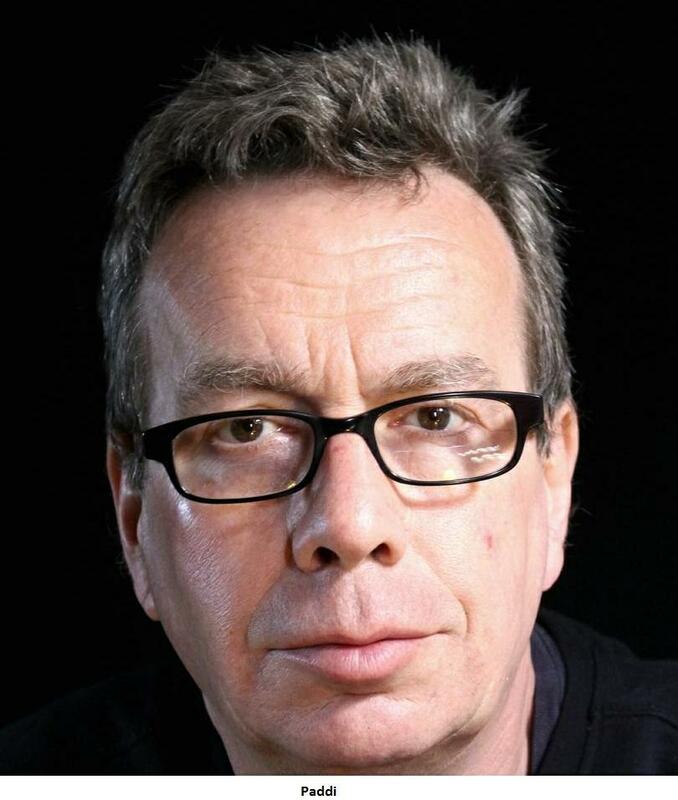 It’s a scathing, spitting rant against politicians – “The rubbish that comes out of your mouth, Popping up like rats in a cavern of filth, Big fat politicians, clearly on the make.” Yet we also have lovely backing vocals and heart rending guitar solos from John. One friend of the band providing feedback on the album said that the tempo and even attitude of the music reminded him of mid-period Pink Floyd, and went on to say, “although I don’t think Gilmour can touch Simms in most cases”. This is an interesting comment. John doesn’t sound like Dave Gilmour. But what they share in common is being among rock music’s most tasteful soloists, with the ability to play single notes that speak volumes and communicate more raw emotion than a flurry of shredding flash. John really shines on this album. All About Harry has an overtly theatrical stage production feel, with a jazzy Broadway show tune style. Cold As Trout is another soulfully flowing Progressive inspired song, with beautiful backing vocals and a spacey Psychedelic Blues guitar solo. Timelessness is a spacey interlude piece, with a tense narrative from Tim – “They’re not engaged in some philanthropic mission, The priests are bought, The politicians are sold.” The Crunch starts off with searing metallic guitar, before settling into a bop-a-long grooving song. I love the sitar-ish sound of the guitar on A Most Remarkable Number. And, finally, The Truth Inverted flows along dreamily, and includes a monster guitar solo, though Tim’s vocals are cautionary, and become increasingly threatening and demonic. It’s disarming to hear this simultaneous with John’s lusciously wailing solo. And then at the end the music stops, and Tim smacks us with a pull no punches, and even somewhat disturbing finale in which the point is driven home in no uncertain terms – “I am the one and only true, rabid dog and I rule everything. I know nothing about compassion. I know nothing about empathy or love. I know only hate. I am dog.” While musically The Nine is as compelling as anything in the CoH catalog, it may be their most lyrically and thematically provocative album to date. 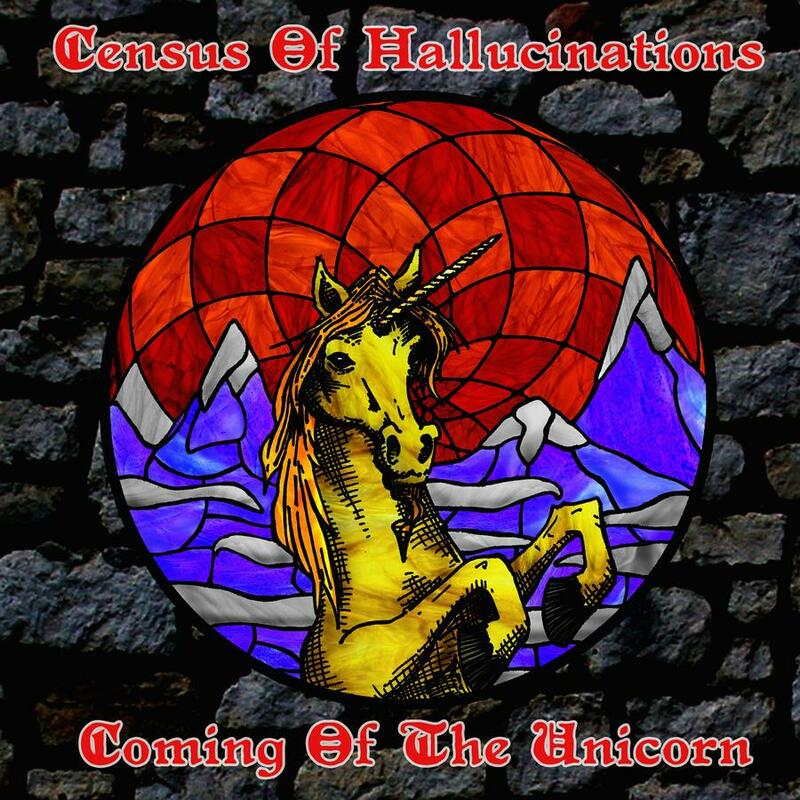 Aural Innovations (AI): 2012’s Dragonian Days was the first Census of Hallucinations (CoH) album after a 5 year hiatus. And there’s been a flurry of activity ever since. To say you’ve been re-energized would be an understatement. What was going on in that interim? 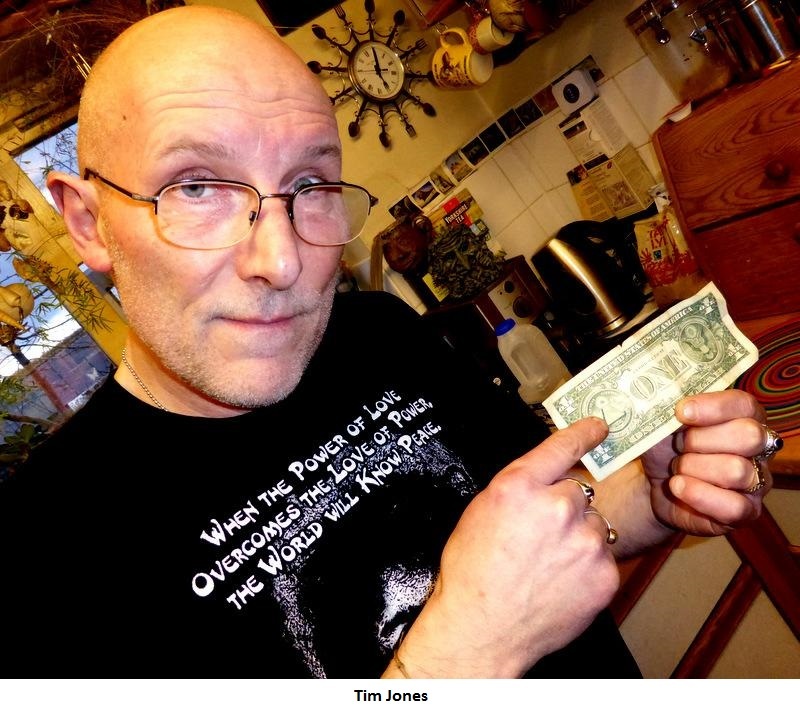 Tim Jones (TJ): Due to changing circumstances in my personal life and various independent labels picking up on the general Stone Premonitions catalogue, I kind of lost control of things for a while. There seemed to be loads of ideas all over the place, going in all sorts of different directions. 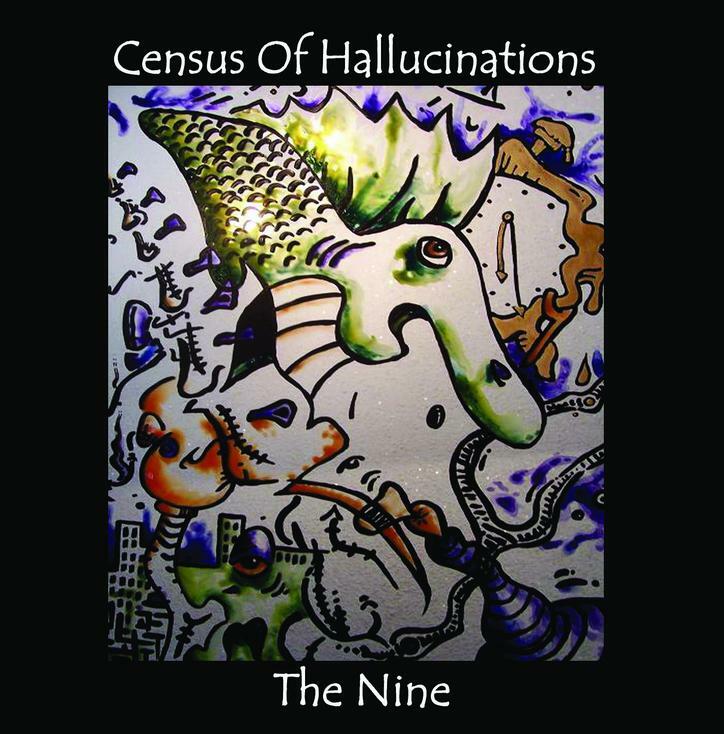 It was really after the Census of Hallucinations album 10 that I kind of lost focus. As you point out, this was over a period of five years. I didn’t stop doing things in that time as there were still a lot of releases coming out but there was no specific direction. I was distracted by commitments and difficulties in my personal life. By 2007, it seemed that Census of Hallucinations as a concept had said everything it wanted to say. It was like I couldn’t hear it anymore or the music that was being produced wasn’t Census of Hallucinations. Music is such a strange animal. Lots of different musicians had contributed to the CoH sound from 2000 to 2007 and many went their separate ways. Of course being the extremely talented bunch that they are meant that they became involved in all sorts of other musical ventures. 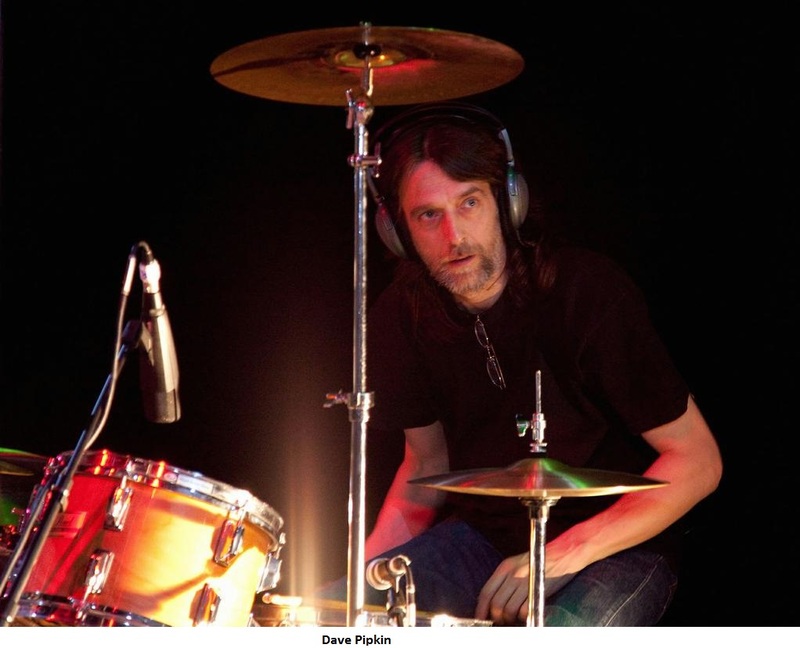 For example the excellent drummer Dave Pipkin went on to concentrate on live work with his fantastic band Stan. After getting involved in other musical creations that were not CoH, I suddenly realized that while working on Dragonian Days in 2012 (The Chinese Year Of The Dragon) that the music that Paddi and I were making was definitely picking up a big hammer and ringing the CoH bell again as it were. This is as it should be as alongside the innovative, superb bass player Mark Dunn, Paddi is my oldest compatriot in all things musical. Paddi and Mark have had a huge influence on the music. We actually started playing together in the mid 1970s. Like I say, it’s a strange thing that you can’t quite put your finger on but as we were making the album I realized that it was picking up where CoH had previously left off. One thing led to another and a solid group of people came together to form what is essentially CoH#2. AI: The lineup on Dragonian Days consisted of Stone Premonitions veterans plus David Hendry, who many of our readers will know from his Ohead space rock albums. David played on that album and Spirit of Yellow, and had previously been involved in compiling the CoH Anthology 1999-2009 compilation, and continues to run the Stone Premonitions web shop. How did you come into contact with David and what’s his relationship with Stone Premonitions? He hasn’t played on the past couple albums. TJ: The wonderful musical world of Ohead aka Dave Hendry was introduced to me by John Simms and Maxine Marten who used to run the excellent Stone Island Records label in the UK. Stone Premonitions has been very involved with John and Max, going back to another great label called Hi Note Music. From the first minute that I heard Ohead, I realized that I was listening to something very special. I was hooked from the first tracks I heard. It was due to John and Max that an introduction between Dave and I was made and once I got talking to Dave, it was obvious to me that he was indeed a kindred spirit. Dave is a highly talented and innovative musician/engineer/producer and it was a joy to team up with him for a number of projects. Stone Premonitions functions primarily as a musician’s collective and people contribute willingly as they see fit. Due to Dave’s busy schedule running his own projects and creating Ohead music, he is involved with Stone Premonitions when he has the time or feels inspired by something that is presented to him. 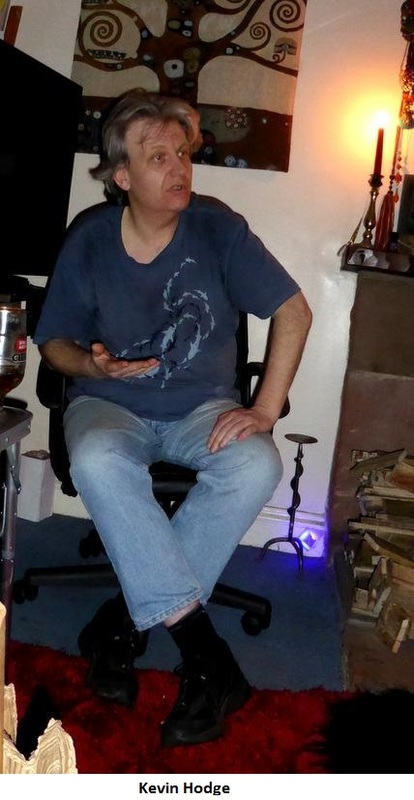 Dave was pivotal in the making of SP releases such as Stone Premonitions 2010, Stella Polaris, The CoH Anthology, Dragonian Days, Spirit Of Yellow and more and I’m sure that we will continue to work together in the future. Dave is also a superb designer in the digital domain and has produced a lot of fantastic website content and video work. 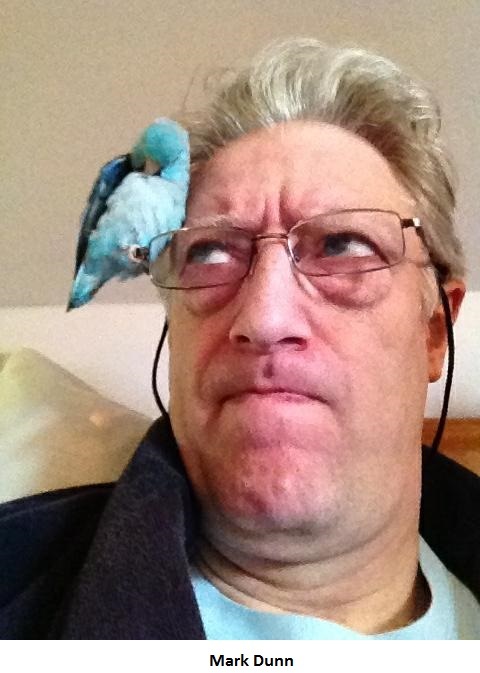 Many of his videos can be seen on YouTube and he has very kindly produced videos for various Stone Premonitions projects. He also designed the Stone Premonitions Webshop that he continues to run to this day. I am personally indebted to Dave Hendry for all of his kindness in helping to keep Stone Premonitions alive and well. AI: You followed Dragonian Days with the 2-CD set, A Bundle Of Perceptions and A Parliament Of Modules, which compiled the best of the CoH instrumentals. This was a delight for fans of the more Space/Psych oriented side of CoH. But it was no mere “Best of” compilation. To use my own words from the press release, you assembled the selected instrumentals “such that they flow seamlessly, each melting into the next, and sweeping the listener away on an auditory journey through space, mind and time.” What was your intention with that album in terms of the way it was constructed and flows? TJ: People that like CoH often seem to be divided into two camps, i.e. those that prefer the more experimental, instrumental side of the music and those that like the more song based material. That is not to say that some people don’t like both. It’s just a general observation. CoH #1 produced a lot of instrumental music that was mixed in with the songs on the early albums but we never released a purely instrumental album as such. I wanted to put the record straight and release an album featuring all of the instrumental material. Of course, the guy that did all of the work in identifying the content of said work was one Jerry Kranitz! After you had identified all of the CoH instrumentals that you thought should be included, I realized that we had enough material for a double album. This gave me the opportunity to construct each of the two CDs in the set separately and put certain themes together that were often connected by the particular set of musicians that had performed them. Often, in the early days of CoH, we would kind of sprinkle the instrumental stuff over a few releases when in actual fact a lot of the separate tracks had been recorded in the same session. We had a kind of archive of instrumentals that we were building as we went along. I was pleased when you said that you liked the way the set flowed as it was my intention from the start to make the music run together on each disc, giving the impression of a continuous composition, rather than separate tracks. Of course, I had to insert edit points so that the listener could choose which sections they would like to hear at a given time. The idea was one of a journey in audio that would sound different depending on the various states of mind of the listener. It’s an amazing thing about music in that it can sound completely different from one listen to the next, depending on your state of mind. I wanted A Bundle Of Perceptions and A Parliament Of Modules to work on all sorts of levels of consciousness. AI: Next was the Spirit of Yellow album, which revisited 13 songs from the Stone Premonitions catalog. Why did you decide to do an entire album of reinterpretations? Spirit of Yellow features 13 songs, all hand selected by Tim Jones from the Stone Premonitions catalog. The quest to nail down definitive versions of Stone Premonitions’ better known songs was fueled in part by the possibilities for different interpretations to be culled from new members. And, for the authors, the thoughtful reflection of living with a song for many years can inspire an entirely different perspective with the benefit of hindsight. Tim was further motivated by access to better technology in the digital domain, as songs that had great performances when they were originally recorded were not necessarily good quality recordings. This was really the start of what was to be a trilogy of albums, featuring what had become by this time a solid bunch of musical contributors to the cause. Since this was in effect CoH Mark 2, I was very interested to hear what the most popular songs from the past would sound like when interpreted by these musicians. It was a starting point to move on to newer material as exemplified by Dragonian Days. 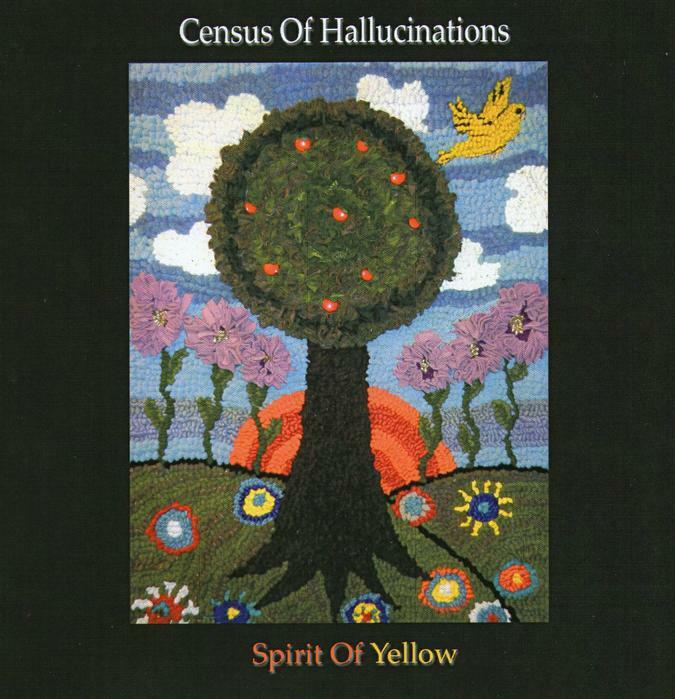 AI: Spirit of Yellow was also the first professionally manufactured CD ever released by Census of Hallucinations. You had previous experience having Rabbit’s Hat and Body Full of Stars albums released as manufactured CDs. What made you decide to take this step with Spirit of Yellow? Are the considerations all financial or are there other factors? TJ: I heard on the radio recently that 95 percent of new releases sell just 1000 copies or less. That is hard copies, not downloads. The nature of the music ‘business’ has changed beyond all recognition in a relatively short period of time and in all honesty, you have no idea how many copies of a given release you are going to be able to sell. In the early days of Stone Premonitions, we would use all of the available money as a collective on getting say 500 copies of a CD professionally manufactured and it was very expensive for a small musician’s collective like Stone Premonitions. 500 was the least that you could order through a manufacturer but we didn’t necessarily need 500 copies! We just needed enough to cover all of the promotional copies we would need and others to sell in order to recoup some of the cost of manufacture. From the beginning, it has all been one big promotional exercise in order to get the music heard. If we were in it for the money, we wouldn’t have lasted the first year! All of our eggs were going into one basket each time we released a new CD. With the advent of better domestic technology, i.e. better computers, CD writers, printers etc, we found that we could produce pretty good items ourselves. This meant that we could make as many as we would need as we went along. Every copy we made would count. This was great at first but as things became more popular and we needed a lot more copies, the cottage industry became incredibly time consuming. Just in the CD copying and printing of the CD covers it was becoming ridiculous and detrimental to the creation of the music in the first place and all that that involved. Plus, we were wearing out CD writers and domestic printers at an alarming rate. In the end it became counter productive and not financially viable. Fortunately and especially in recent times, more and more competition between CD manufacturers and their realization that people didn’t want piles of CDs mounting up in their bedrooms has meant that they will do smaller runs of CDs. There are now many smaller business concerns out there that will give you a really good deal on manufacturing the smaller amounts of product that you need. I scoured the Internet in 2012 and found a superb company in Blackpool called West Coast Duplication that is run by a very professional technician called Jim Forrest. He offered us a really good deal on producing small runs of CDs with a four page booklet and full colour artwork and he has made the last three CoH albums for us. This is actually cheaper than if we’d made them ourselves! It is fantastic to receive a big box of ready made CDs and then put the time in to promote them. In regard to the artwork on the three new CDs, Terri~B is a fantastic artist as well as a musician and she designed the bulk of all of the CoH CD covers from the start. She did the artwork for Spirit Of Yellow and it was then passed on to another fantastic artist called Colin Masson from the band The Morrigan who did the graphic design. Shortly after the release of Spirit Of Yellow, another wonderful artist got in touch with us from the USA. His name is Justin Jackley. He wrote to say that he liked what we were doing and would we be interested in his work for CoH cover art. I checked out Justin’s website and was blown away by his work. It immediately struck me that Justin’s style would be perfect for CoH. He has very kindly produced the covers for both Coming Of The Unicorn and The Nine and we are all so very pleased with what he has created for us. He is a superb graphic designer too and he also put all of the cover art together. A manufacturer needs you to be able to work with a template that is very precise for the printing process and this is complicated and difficult to get right unless you really know what you are doing. Justin understands this process completely so we are very lucky indeed that he wanted to be involved. AI: Next up was the Coming Of The Unicorn album, which is another one for fans of the Space/Psych CoH. You said your intent was to make the album a full blown Psychedelic project and a full album experience. Can you expand on that? TJ: As we had now covered all of the early material, both songs and instrumentals, we planned to do two more CDs featuring the new direction of the band. The first, Coming Of The Unicorn was going to be very much based around instrumental music and we had already by this time started working on The Nine project that was entirely different and very much song based. We were therefore covering new ground both instrumentally and song wise on the two follow up CDs to Spirit Of Yellow, making in effect a trilogy, in an attempt to put CoH Mark 2 firmly on the map. Indeed, Coming Of The Unicorn was intended to be like one flowing work in order to take the listener on an interesting psychedelic journey. I was looking for a theme to join it all together and came up with the ambient sound of the sea and waves crashing on the shore. AI: I recognized two songs on Coming Of The Unicorn from the CoH/Stone Premonitions past. Only Time Will Tell is a reworking of the Rabbit’s Hat song Mountain Climbing, and Stars takes the spaced out CoH track My God, It’s Full Of Stars in a new direction. So while these were recognizable, they really were reinterpretations. How did you happen to choose those two tracks for the album? TJ: We seem to be on a constant quest to truly define the best aspects of CoH music. Certain tracks have more potential than others and once I’ve lived with the initial recorded versions for a while, new ideas about them often come to the fore. Sometimes the original recordings were great as regards performance and content but could have sounded better technically due to upgraded studio equipment. Knocking ideas around with other members of the band becomes fundamental in reinterpreting the piece of music, sometimes taking a radically different approach. In other words, it is both interesting and rewarding to see how the new band members interpret the song and bring it up to date so that it becomes part of the current catalogue rather than old material. Personally, the two songs you mention were favourites of mine that I thought would suit CoH #2. AI: And now we have a new CoH album, The Nine. Let’s start with the musicians in the current edition of the band. You’ve got an interesting mixture of Stone Premonitions veterans and new blood. Looking at the credits of the past three albums I see stalwarts like Paddi, Dave Pipkin, Steve Ellis, and Mark Dunn. It’s a trademark of CoH that the lineup has always been fluid. What do think the recent additions bring to the table? TJ: I feel extremely privileged to have such fine musicians to record with. All of the people involved are veterans of the music scene in one way or another. Most are technicians as well as musicians and this makes working together on projects all the more interesting. The current band includes Paddi on drums and Mark Dunn on bass that I have worked with continuously since the mid 1970s. They are both fantastic musicians in their own right and make for a tremendous rhythm section. It is always a joy to hear them playing together. 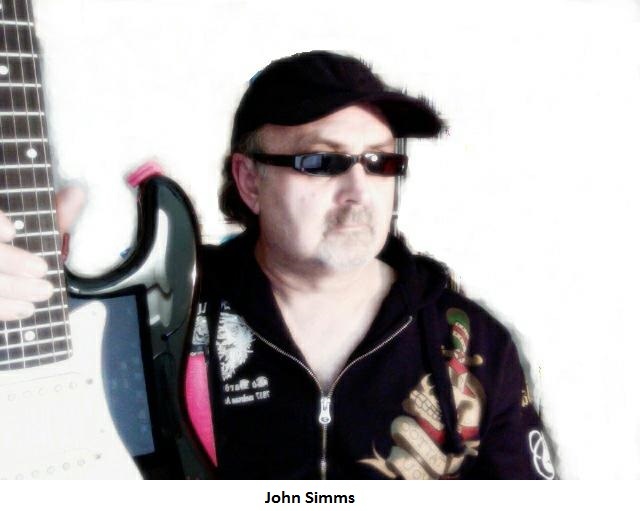 We have the legendary John Simms on electric guitar. John is a true original that has played in bands since the late 1960s. These days he is branching out to play a lot of guitar synth and keyboards that add extraordinary textures to the music. Kevin Hodge is on acoustic guitar. He is a wonderful all round musician that has played in more bands from the North East of England than I have had hot dinners! To demonstrate Hodge’s diversity, he is also currently playing drums with Penetration too and has lots of other projects on the go. 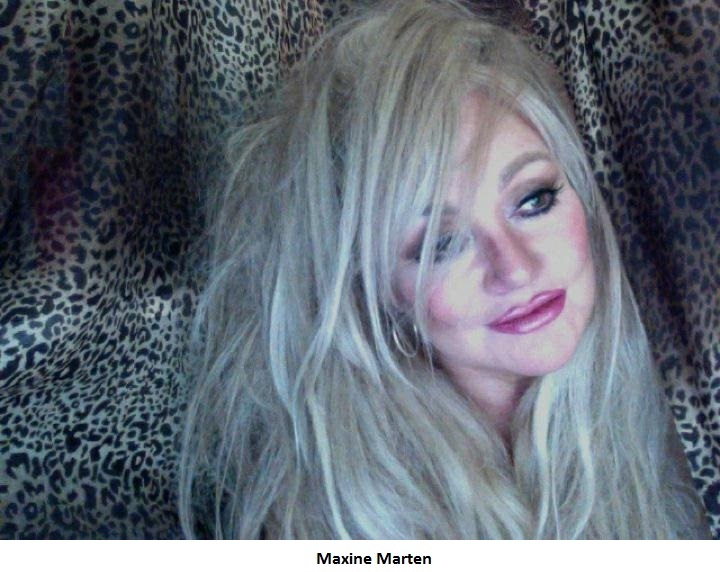 We have in my opinion two of the finest female vocalists around in Terri~B and Maxine Marten. They absolutely make the whole thing in the vocal department for me. Terri~B has been my musical partner since 1992 and once again has been a huge influence on the music. All of these musicians bring together a wealth of experience and raw talent that make the music truly shine and I am indebted to all of them. The fact that they continue to be involved gives me so much support and encouragement. AI: Following from the previous question, I think John Simms guitar adds an amazing new dimension to the music. It’s different, yet fits in so well with that uniquely psychedelic CoH sound. How did you and he come together as collaborators? TJ: In the late 1990s, I sent some Stone Premonitions CDs to the Hi-Note Music label that were based in the UK. Shortly after, I received an extremely encouraging phone call that I will never forget from Maxine Marten that was running their A&R Department. One thing led to another and the lovely people at Hi-Note released two CDs by Stone Premonitions’ artists. The first was the album Wrap Me In Your Skin by Terri~B, followed by The BBC Acoustic & Related Sessions by The Rabbit’s Hat. I got to know Maxine and her partner John Simms very well during this period. Once again, they gave us so much support and encouragement during this productive time. Following on from Hi-Note, John and Maxine started their own label called Stone Island Records. They were kind enough to re-release all of the early albums by CoH in superb new packaging designed by Dave Hendry. They released other things in that time too. We also collaborated on a Stone Premonitions CD called The Moon Orion Project and so things began to cross over quite extensively. I am a big fan of all of John and Max’ music, especially the band Clear Blue Sky and ever since I first heard John on guitar, he has been one of my favourite guitar players of all time. When embarking on the Spirit Of Yellow album, I asked John whether he would be interested in playing guitar on it and he said “Sure, I’ll give it a go”, so you can imagine my delight to realize that we were going to have such a fine guitarist appearing on it. The thing about John’s guitar playing is that it’s not just that he’s a superb technician. It’s the emotional feeling that comes with it. John’s playing makes the hairs stand up on the back of my neck and he can take the guitar into realms that I can only dream of as a player. I am in awe of his playing. He knows exactly what to play, where and when which is a rare gift. It’s like a sixth sense he has when we’re constructing the music. He plays with real passion and raw power. AI: You’re a gifted guitarist and all around musician yourself. So I was surprised to see you credited with only vocals on The Nine. Why did you decide to step away from playing any instruments? TJ: Thanks for the kind words Jerry. I had no formal musical training apart from music lessons at school and am self taught as a guitarist. I’m left handed but play guitar right handed and I don’t know what difference or handicap this results in. I can only play in the way that comes naturally to me. Unfortunately, this can be rather restricting in a technical sense. With Kevin Hodge’s wonderfully inventive acoustic playing and John’s second to none electric guitar playing, I saw absolutely no need for me to play guitar on The Nine. This gave me an excellent opportunity to concentrate on the lyrics and vocal performances only. There was a sense of freedom, not being restricted by playing guitar too so that I could concentrate fully on the lyrical/vocal task at hand. Quite often out of necessity, I have had to be a kind of ‘Jack of all trades’ in that if a song requires something and the players aren’t at hand I have to try to cover that instrument myself. Having said this, I do enjoy the challenge and it can be very rewarding if I get it right. AI: I think The Nine has some of your best vocals to date, giving the music a stage production feel. TJ: Once again thank you for the complement! I felt that I had a lot to say on The Nine and it was all related in some way. It always scares people off these days when you mention the words ‘concept album’ but in a sense that’s exactly what The Nine is but on my terms. Since I started to write songs, I have always enjoyed introducing characters into the music. This is an art in itself and a steep learning curve trying to get it right. I had to play all of the character parts myself on The Nine but I knew who they were in my head. The characters help to punctuate the meaning behind the lyrics. It can also introduce humour to an otherwise serious subject. I am very pleased that you think the album has a stage production feel as that was exactly what I was trying to get at. Obviously, it’s not going to be in the vein of Andrew Lloyd Webber! The Nine is a psychedelic journey into what is in part a nightmare landscape. Sometimes when I try to write lyrics, nothing happens and the inspiration just isn’t there but if you’re on a roll then ideas spark off one another and the picture can build quite quickly. It’s getting everything nailed down that takes the time. Really, as friends have pointed out for many years now, I’m a frustrated actor. I have always loved radio drama above film or television as I am of the generation where radio was a very important medium. You have to think and use your imagination when listening to radio drama. In effect, you participate in the imagery through your own imagination. You create the visual landscape in your head through the medium of the words spoken by the character actors. Words don’t necessarily have one meaning either, so the pictures they present to individuals can be theirs and theirs alone. Hopefully The Nine‘ means something to the individual listener that is thought provoking and that they find interesting. In other words it means what it means to them. AI: Tell me about the theme of album. The credits say “from an original idea by Kevin Hodge”, and you had said that the exact length of the album is important. TJ: Hodge originally came up with nine acoustic guitar pieces that became the basis for The Nine. I realized as I was listening to these separate pieces that what he had produced was unusual, very evocative and atmospheric. Ideas for words started to form as I was listening to Hodge’s guitar and the concept formed of a nine part story. So, Hodge instigated the whole thing musically from the start with the nine acoustic guitar parts. We built the whole album around these guitar parts, using the originals all the way through the recording process. Nothing was replaced later on though some editing of the initial pieces was necessary in order to fit the lyrical structure. It is testament to Hodge’s playing that so many other musicians wanted to contribute to his thought provoking musical vision. The total running time of The Nine is 39.33. This kind of endorsed the idea that we must be on the right track in a synchronistical sense. In other words, the numbers definitely add up! AI: You are one of the most acerbically biting and throat cutting sarcastic lyricists I’ve ever heard, and The Nine includes some of your most ferocious. If a general theme can be discerned from your lyrics over the years, it’s the abuse and self-interest of power, government, and moneyed interests. TJ: Everyone on this earth has a ‘comfort zone’ in a psychological sense, lines that must not be crossed, sacred cows, no matter what their belief system, implanted or otherwise. When I say implanted, this is an intentionally provocative statement. Everyone seeks solid ground on which to build their beliefs. It can be the fairy story on which religions are based. It can be television and the mainstream media, all kinds of methods in fact. The only problem is that there is no solid ground, it’s an illusion. ‘The truth is a lie that must be revealed’. How do so few rule so many? ‘In a world where the blind lead the blind, the one eyed man is king’. Who is the one eyed man? The powers that be will tell you that it is conspiracy theory to think that there’s anything other than a benign force running everything. That eye in the pyramid on the dollar bill, it means nothing. My question is why is it there? Whose eye is it? The eye of providence, all seeing, God conceived as the power sustaining and guiding human destiny or so we are told. Whose God? Your God? My God? Harry’s God? Who is Harry anyway? In the end it’s all subjective. There’s a Harry that is like Marie Antoinette, telling us all to eat cake in complete ignorance of the fact that so many children in this world have no food on the table. He is the progeny of Regina or Columbia or Semiramis or the Statue of Liberty or whatever you want to call her. For that’s what she is, the archetype ‘Queen’. Then there’s the regular archetype Harry, a product of mainstream society since the advent of mainstream media and the imposition of television ‘programmes’. In other words, mind control. He’s the head of one of David Cameron’s ‘hard working families’. It’s all a dupe and a con, wrapped up in the illusion of choice. The major political parties are two sides of the same coin. We are supposed to believe that we have a choice when in actual fact it’s just us and them, those that have and those that have not. Take away television and football and then what? You will have removed a means of control and division and chaos will reign. That’s the last thing that ‘God’ wants. We are taught to aspire to wealth and consumerism, running round like hamsters in a wheel while they rob us blind. Respect your elders while they blow little children to bits in foreign countries. Do as we say, not as we do, like the current situation in the Ukraine. Why should children be indoctrinated by the lies, deceit, death and destruction perpetrated by the elders they are taught to respect? That’s not teaching. Once again, it is mind control. In order to maintain their deranged continuum, the powers that be have to brutalize the next generation and so on in order to maintain their power base and keep it firmly in the hands of the elite. They care not a jot about the young. Otherwise, why would they continually rob them of their future? The poster boys and girls are good for nothing except looking good. Just a glimpse at the hip culture role models tells you that there’s nothing behind the eyes. But I believe in the youth, the intelligent, compassionate and magical young people that will one day run things. I’ve seen the light in my ten year old son James. Does an ant actually perceive a human being in its presence? Has it any comprehension that the human is there? What if we only have as much relative knowledge about who or what is running things as an ant does about human beings? No one really knows anything and this is the point. ‘One man’s truth is another man’s lie’ and I’m not asking the listener to believe anything I’m saying either. I’m just upholding my right to say it. AI: The last song on the album, The Truth Inverted, is a bit of a shocker. The music is beautifully flowing and has a killer guitar solo. But the lyrics are in sharp contrast to the music and the ending is absolutely DEMONIC!! TJ: To carry on from the previous question, The Truth Inverted is about deception. It features a rabid dog as God and he’s completely evil. He preaches good will whilst he ravages and pillages his reckless way through the ages. We are told that the bible is the word of God yet it was written by man. So man is God. He fell down from the heavens into dense matter and thinks he has power over everything due to his God complex. In reality, he rules without any compassion and devoid of empathy. He is like a completely deluded emperor. With a sociopathic personality, dominated by greed and avarice, he claims to be enlightened. He is higher than the wild beasts intellectually but in reality a monster. He is a monstrous aberration on the face of the earth, a maggot devouring our potential to be all that we can be. He is totally beneath contempt. By deception he wages war on humanity ergo on himself. He has a split personality and is schizophrenic and psychopathic to the nth degree. He is the supreme hypnotist, convincing us that lies are truth. He has fooled us with gravity. He is indeed demonic. Where is the best place to hide something from someone? Right in front of them is often the case and that’s where he exists, hidden in plain sight. His symbols are everywhere for those with eyes to see. AI: 2014 is the 20th anniversary of the founding of the Stone Premonitions label and 40 years since your own musical journey began with Eyes To The Sky in 1974. TJ: That’s right. Blimey! 40 years. Time flies said the man who threw the clock through the window! For me, the trilogy of albums that we’ve just completed are like the icing on the cake and celebrate our musical existence very well by covering all of the aspects of Stone Premonitions music. Personally, I am especially pleased with them and if we don’t do any more from here, I am happy in the thought that we tried to reach as many people as possible with the messages we were trying to convey. It’s all in that word ‘tried’. At least we tried. Who knows though? They say life begins at 40 so we’ll just have to see. It only remains to sincerely thank you for everything you’ve done for us over the years Jerry and we also extend our sincere thanks to all of the people that have encouraged and supported us over the years.